Indian cricket team all out for 2! New Delhi - An Indian women's state cricket team managed just two runs in an official 50-over match, one of the lowest totals ever recorded. Opening bat Menka scored one run and the other was a wide as nine of the Nagaland Under-19s were out for ducks against Kerala. Kerala then took just one legitimate delivery to win by 10 wickets, with 299 balls to spare. 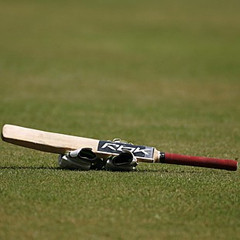 Nagaland, debutants in the Board of Control for Cricket in India (BCCI) Super Series tournament, did at least win the toss in the game on Thursday. They chose to bat and Menka scored one run off 18 balls before she was caught in the sixth over. It triggered the mother of all collapses as Nagaland were bowled out inside 17 overs - 16 of them maidens. A total of two didn't give the Nagaland bowlers much room for error, and they started badly when Deepika Kaintura sent down a wide with her first ball. Kerala's Ansu Raju then put Nagaland out of their misery by hitting a four off the first legal ball. Nagaland had already been involved in an unusual game when their bowlers sent down 42 wides on November 1 against Manipur - who bowled 94 wides of their own. Their total of two against Kerala is smaller than the six scored by the Bs against England in 1810, which is listed as the lowest in any domestic competition by ESPNCricinfo.com. In international 50-over cricket, Zimbabwe holds the dubious record for the lowest score, having been bowled out for 35 against Sri Lanka in 2004 in Harare.